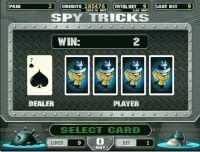 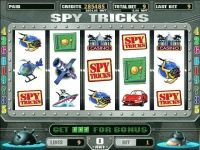 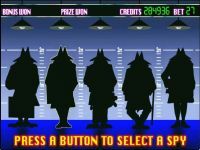 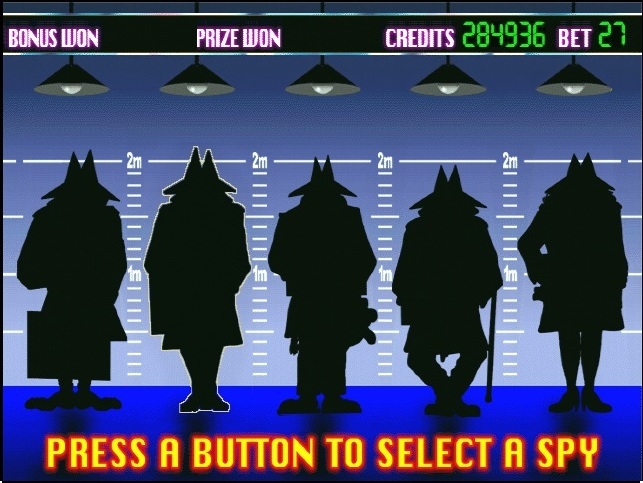 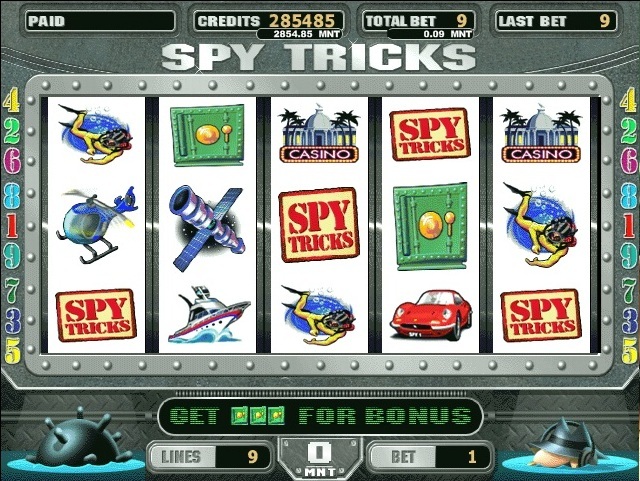 Spy Tricks 9i is linear, 5i-reel slot machine with the possibility of doubling your winnings, bonus and superbonus games. 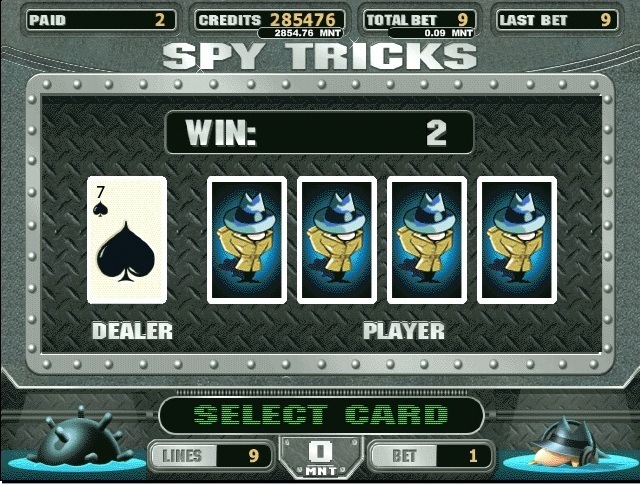 The "Spy" is replaced by any character other than a winning combination of bonus symbols. 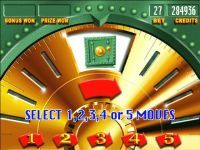 A roll of 3-5i characters "Safe" (bonus) bonus game begins where the prizes are chosen.